In 1971, a 27-year-old, 456-pound man went to the University of Dundee’s department of medicine in Scotland looking for help. Patient A.B., as doctors referred to him, needed to lose weight. His physicians recommended a short but drastic course of action: stop eating altogether. The patient responded so well to a brief stint without food that he decided to prolong the deprivation—for more than a year. “[H]is fast was continued into what is presently the longest recorded fast (Guinness Book of Records, 1971),” the clinicians wrote in a 1973 case report, claiming A.B. suffered little or no untoward effects on his health.1 And at the end of his 382-day dietary abstinence, during which he had ingested only vitamin supplements, yeast, and noncaloric fluids, A.B. had lost a remarkable 276 pounds. When doctors checked back in on A.B. five years later, their patient reported gaining back only about 15 pounds. Although aspects of this published report seem almost unbelievable, and the period of fasting is obviously extreme, the case highlights some of the metabolic dynamics that result when bodies are deprived of food. 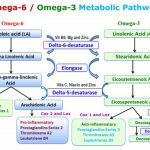 For example, when external calories stop fueling an animal’s metabolism, stores of triglycerides in fat cells are mobilized, and levels of ketones—chemicals that result from the burning of fat for fuel—rise. Decreases in body weight follow. Scientists are further detailing both the underlying metabolic dynamics and interesting physiological phenomena aside from weight loss as they study less-extreme permutations of fasting in animal models and in humans. Data have recently emerged from research on several forms of so-called intermittent-fasting regimens, including alternate-day fasting, the so-called 5:2 diet, time-restricted feeding, and periodic fasting (see definitions). Although these regimens vary, they all involve a rhythmic disruption in the typical flow of calories into the metabolic machinery. “This is a simple intervention that has a profound impact,” says Satchidananda Panda, a researcher at the Salk Institute for Biological Studies in La Jolla, California, who studies the effects of time-restricted feeding. As the body of scientific literature around fasting has grown, results have been cherry-picked and molded into fad diets that promise weight loss, increased energy, better sleep, and a variety of other benefits to human adherents—some with more evidential backing than others. As books of dubious scientific merit extolling the virtues of fasting fill the shelves, serious researchers continue to probe the genetic, immunologic, and metabolic dynamics that occur in fasting animals to separate hype from reality. For the majority of genus Homo’s more than 2 million–year evolution, hominins’ access to nutrients and calories was spotty, at best. Anyone who has hunted or gathered knows that success in either endeavor is not always guaranteed. But all of that began to change around 12,500 years ago, when H. sapiens invented agriculture, securing reasonably consistent streams of food—though the steadier diet constituted a narrower range of nutritional quality. Oscillations between feast and famine may have served as a selective pressure, tuning early human physiology to function optimally in an environment where resources were unpredictable. Even with this disagreement concerning evolutionary vs. industrial justification for designing modern-day fasting diets, results from studies in both animal models and humans point to distinct benefits of withholding food in one temporal pattern or another. In recent years, scientists have learned that fasting might trigger not only weight loss and life-span extension—benefits that have long been linked to caloric restriction—but also boost the performance of the brain, the immune system, and organs central to metabolism, such as the liver and pancreas. Fasting, some researchers claim, can even alter the course of some diseases, from cancer and multiple sclerosis to diabetes and Alzheimer’s. Mounting evidence suggests that intermittent fasting causes significant changes to various organs and tissue types. The fasting signal likely starts in the liver, the body’s central command for metabolism. But through changes in gene expression and alterations in complex enzymatic pathways, the effects of food deprivation spread throughout the body, from the brain and visceral fat to the muscles and more. Fasting and time-restricted feeding increases insulin sensitivity, decreases insulin resistance, and lowers blood glucose levels. With prolonged periods of fasting, the liver’s glycogen stores become depleted, and visceral fat is tapped as an energy source, which releases ketones that can be metabolized by neurons and muscle cells. Periodic fasting reprograms T-cell populations, tamping down autoimmunity and rescuing immunosenescence. A lack of incoming calories appears to prune away autoimmune T cells, and with refeeding, hematopoietic stem cells are activated to replace T cells, lymphocytes, and other white blood cells. Several fasting studies have also pointed to a decrease in inflammatory cytokines. Because triglycerides become mobilized for energy in the absence of incoming dietary calories, blood lipid levels tend to go down in a fasting body. Researchers have also seen decreases in blood pressure in fasting animals. In some animal studies of fasting, investigators have recorded decreases in cholesterol. Intermittent fasting has improved memory, learning, and neurogenesis in rodents, and has been shown to repair some neurons in mouse models of ischemic stroke. By making tumor cells more susceptible to chemotherapeutic agents while protecting healthy cells from the treatment’s toxicity, intermittent fasting is showing promise in slowing the progression of breast cancers and melanoma in mice. In seeking to understand how a body reacts to a dearth of incoming calories, it makes sense to start in the liver, an organ crucial for the processing of nutrients flowing into a body’s metabolic machinery. Panda has documented profound alterations in gene expression in the liver cells of animals subjected to conditions of fasting. In a 2009 PNAS study, he and colleagues found that when they withheld food from mice for 24 hours, 90 percent of the genes expressed in a cyclical, circadian clock–driven fashion by liver cells ceased to oscillate.2 “That means most of the cycling comes from these instructions from food,” he says. Conversely, Panda’s lab later showed that feeding mice high-fat diets with food accessible 24 hours a day similarly breaks circadian clocks in the liver, resulting in an enhanced propensity for obesity and its attendant maladies. But making that same high-fat diet—and the same number of calories—accessible to the animals for only eight hours per day during their normal wake cycles protected the mice from the development of a host of metabolic diseases.3 “The mice were completely protected from diabetes, cardiovascular disease, high cholesterol, fatty liver disease, these diseases that affect most of our elderly,” he says. Altering the feeding window to regimens of 8, 9, or 12 hours didn’t make much of a difference. “In most cases we saw protection from all of these diseases, and if the mice were fat enough initially, they lost 20 percent of their body weight and many of their diseases reversed,” Panda says, adding that they also tried a 15-hour feeding window, which did not offer too much disease protection. Mattson, who studies the brains of mice, rats, and humans in his lab at the NIA, has identified neurological benefits of fasting and suggests that the adaptive stress response may be at their foundation. The gist of this response is that, under unfavorable environmental conditions such as toxin exposure, extreme heat, or a lack of readily available fuel, cells in an animal’s body alter gene expression to crank out proteins that play protective roles. These proteins make cells more resistant to the stressor through enhancing DNA repair or by stabilizing proteins’ 3-D conformations, among other mechanisms. In the brain, the adaptive stress response can strengthen neuronal networks and enhance neural plasticity. Fasting that involves longer periods of food deprivation can cause changes to the immune system and the hematopoietic stem cells that support it. Longo studies periodic fasting, less frequent but longer bouts of severe calorie restriction, and is finding that the routine can reshape immune cell populations in the body. For most of his studies, Longo uses the fasting-mimicking diet (FMD). Using a periodic three-day FMD regimen for 30 days in a mouse model of multiple sclerosis, Longo and colleagues showed that the fast-and-feed cycles pruned away populations of autoimmune T cells, replacing them with immune cells that were no longer bent on attacking neural tissue. Oligodendrocyte precursor cells regenerated and remyelinated axons, and the clinical severity of the autoimmune disorder declined.9 “One in five of the mice went to back to no symptoms at all. One in two of the mice went down to very low levels of the symptoms,” Longo says. Fasting that involves longer periods of food deprivation can cause changes to the immune system and the hematopoietic stem cells that support it. Much of the basic biological work on fasting diets is done in animal models of disease, demonstrating improvements in or protection against symptoms of Alzheimer’s, multiple sclerosis, cardiovascular disease, diabetes, and other metabolic disorders. Longo has also turned his sights on cancer. He and his team showed in mouse models of breast cancer and melanoma that periodic fasting with a four-day FMD for about a month, combined with chemotherapy, delayed tumor progression by sensitizing the malignant cells to chemotherapy, while protecting normal cells from the toxins. 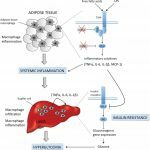 This effect, they found, was mainly mediated by increases in the levels of lymphoid progenitor cells and tumor-killing lymphocytes.10 “On one side, the fasting promotes the regeneration of the immune cells and they’re more aggressive, but more importantly, it’s acting on the breast cancer cells and also the melanoma cells to make them more exposed in a way to the T cells,” Longo says. Mattson, too, has tested the effects of fasting on specific disorders. In 2014, he participated in research that illustrated the contribution of time-restricted feeding—in this case, feeding mice in an eight-hour window every day for four months—to tamping down inflammatory responses after ischemic stroke was induced in the animals. The study implicated some of the same neuronal signaling pathways—NF-κB and MAPK, for example—in the fasting regimen’s ability to calm the cytokine storm that attacks brain tissue after stroke.11 “There’s some evidence coming out that intermittent fasting after stroke in animals can enhance their recovery,” Mattson says. Longo, working as the director of USC’s Longevity Institute, is now directing his questions about fasting and cancer progression to humans. “Now we have about 400 patients that are enrolled or will be enrolled in multiple clinical trials that we’re running with the fasting-mimicking diet,” he says. Varady notes that most of the trial subjects on whom she’s tested alternate-day fasting tend to report a certain amount of ease with complying with the diet, and she’s found that they tend not to compensate for fasting days by consuming drastically more calories on feast days. “It’s almost like they can’t binge on the feast day. They typically only consume about 15 percent more energy than they normally do,” she says. All fasts are not created equal. Researchers are studying several different permutations of intermittent fasting, which all provide ample drinking water to subjects, in laboratory animals and in humans. Alternate-day fasting: Subjects eat every other day. For humans, noneating days typically consist of one small meal of around 500 calories, amounting to a dietary energy reduction of approximately 65 percent to 80 percent. 5:2 diet: A person eats five days of the week and abstains from eating the other two (for example eating on Monday, Wednesday, Friday, Saturday, and Sunday and fasting on Tuesday and Thursday)—save for one small, 500-calorie meal on fasting days (cutting dietary energy by about 65 percent to 80 percent on those days). Periodic fasting: This fast is undertaken anywhere from once a month to once a year. For a period of at least five days, food is avoided or subjects eat a modified “fasting-mimicking diet” that steps down energy intake over the fasting period and is low in carbohydrates, proteins, and calories. W.K. Stewart, L.W. Fleming, “Features of a successful therapeutic fast of 382 days’ duration,” Postgrad Med J, 49:203-9, 1973. C. Vollmers et al., “Time of feeding and the intrinsic circadian clock drive rhythms in hepatic gene expression,” PNAS, 106:21453-58, 2009. 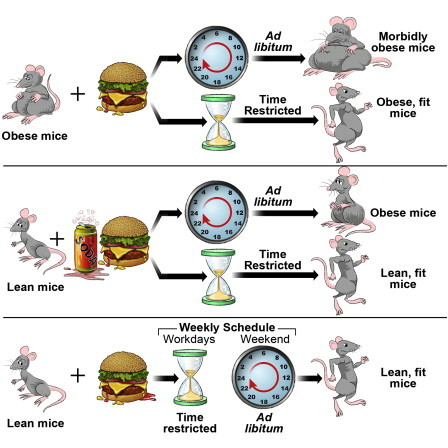 M. Hatori et al., “Time restricted feeding without reducing caloric intake prevents metabolic diseases in mice fed a high fat diet,” Cell Metab, 15:848-60, 2012. C.W. Cheng et al., “Fasting-mimicking diet promotes ngn3-driven β-cell regeneration to reverse diabetes,” Cell, 168:775-88, 2017. K. Marosi, M.P. Mattson, “BDNF mediates adaptive brain and body responses to energetic challenges,” Trends Endocrinol Metab, 25:89-98, 2014. A.R. Vasconcelos et al., “Intermittent fasting attenuates lipopolysaccharide-induced neuroinflammation and memory impairment,” J Neuroinflamm, 11:85, 2014. Cheng, et al., “Involvement of PGC-1α in the formation and maintenance of neuronal dendritic spines,” Nat Commun, 3:doi:10.1038/ncomms2238, 2012. A. Cheng, et al., “Mitochondrial SIRT3 mediates adaptive responses of neurons to exercise, and metabolic and excitatory challenges,” Cell Metab, 23:128-42, 2016. I.Y. Choi et al., “Diet mimicking fasting promotes regeneration and reduces autoimmunity and multiple sclerosis symptoms,” Cell Rep, 15:2136-46, 2016. S. Di Biase et al., “Fasting-mimicking diet reduces HO-1 to promote T cell-mediated tumor cytotoxicity,” Cancer Cell, 30:136-46, 2016. D.Y. Fann, et al., “Intermittent fasting attenuates inflammasome activity in ischemic stroke,” Exp Neurol, 257:114-19, 2014. S. Gill et al., “Time-restricted feeding attenuates age-related cardiac decline in Drosophila,” Science, 347:1265-69, 2015. S. Gill, S. Panda, “A smartphone app reveals erratic diurnal eating patterns in humans that can be modulated for health benefits,” Cell Metab, 22:789-98, 2015. J.F. Trepanowski et al., “Effect of alternate-day fasting on weight loss, weight Maintenance, and cardioprotection among metabolically healthy obese adults: A randomized clinical trial,” JAMA Intern Med, doi:10.1001/jamainternmed.2017.0936, 2017.